The Bendaroos were added to our language arts center this week. 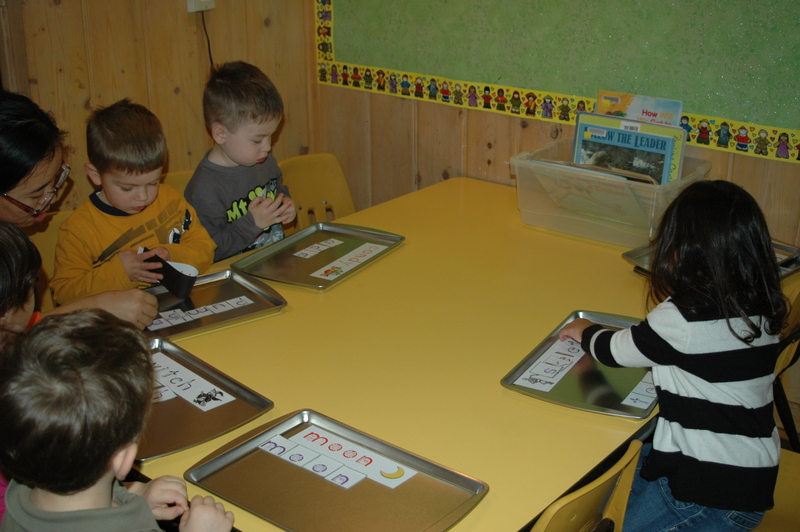 Zoo Phonics cards were printed and laminated. 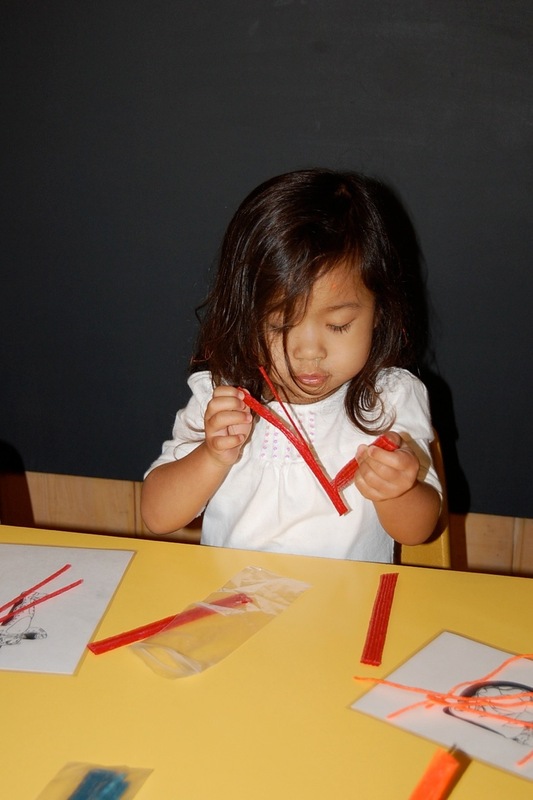 Bendaroos are pieces of string or wire that are covered with a thick coat of colored wax. This was the first time the children used them, so some kids were more interested in exploring the new media. Other children chose one of the Zoo Phonics cards to work with. 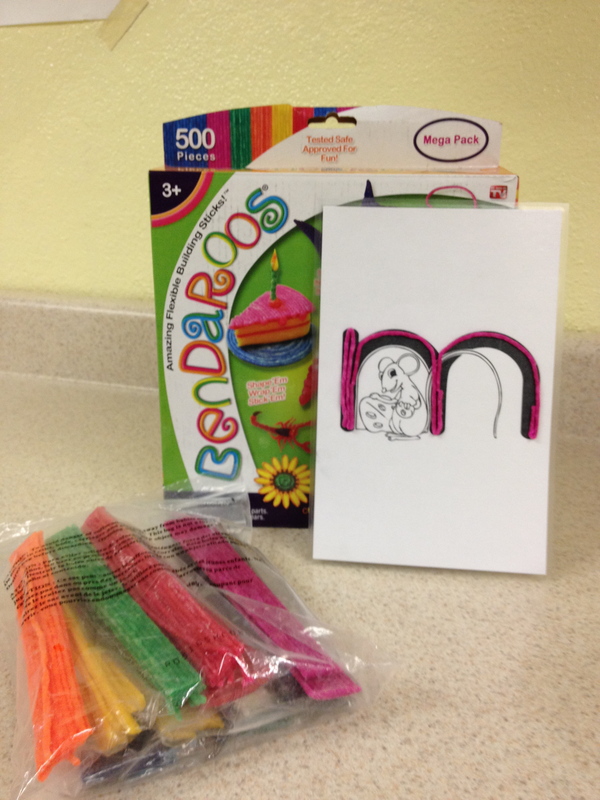 They laid out the Bendaroos onto the cards to form the letter. 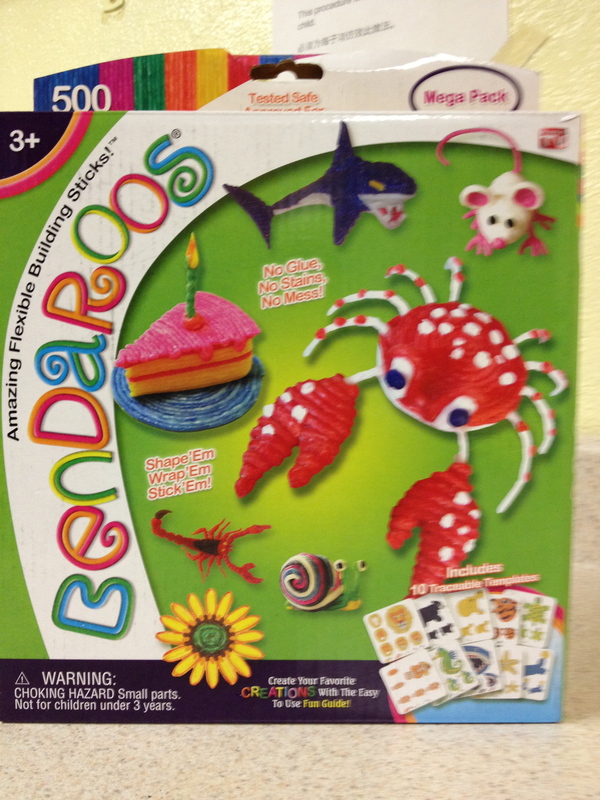 Currently the children are learning letters m, b, t, d, h, and p.
I found the Bendaroos at our local learning supply store. 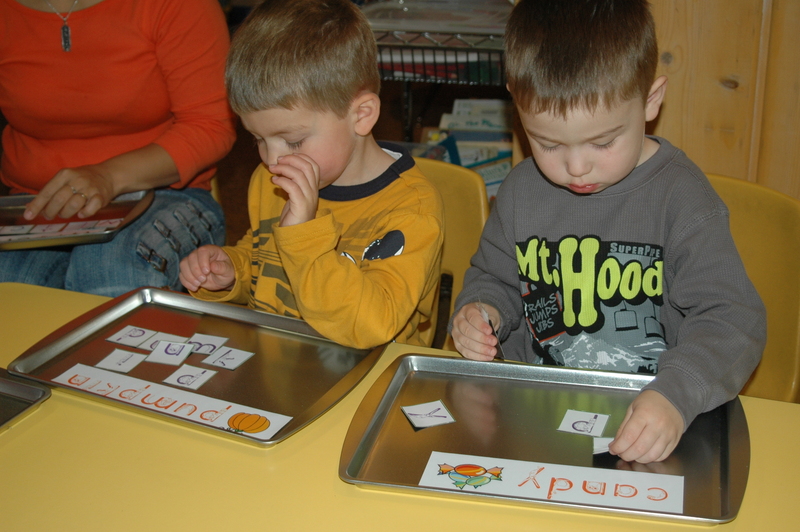 This is our second year using the Zoo Phonics curriculum. 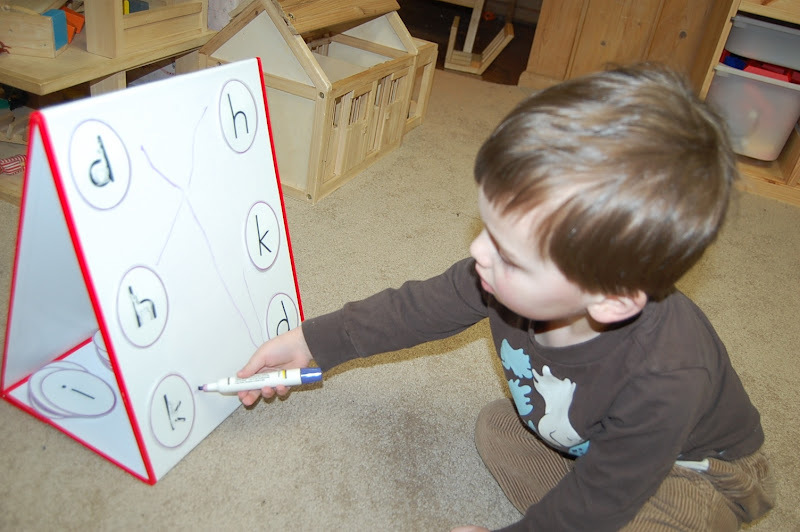 The kids love it and learn the lower case letters and their sounds fairly quickly. 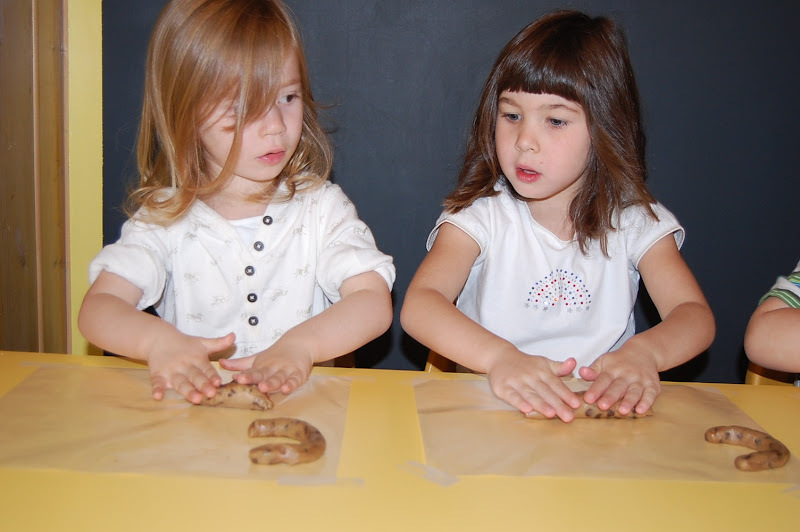 This year we’re learning letters associated with our science themes and other activities the children are working on. We started the school year in September with “m” for measurement and “b” for ball. During October the focus has been on “h” for Halloween and “p” for pumpkin. I printed Halloween word strips accompanied by a picture onto magnetic sheets. Enough letters for each word were also created. 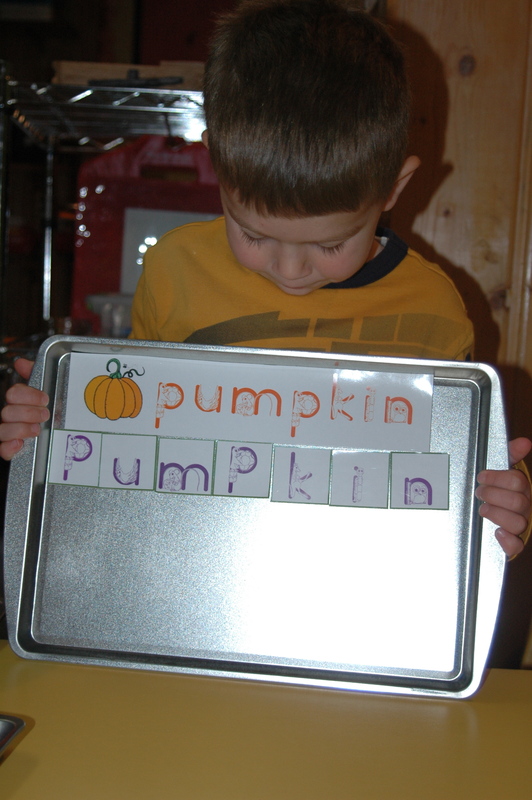 The children were all given a cookie sheet and each chose the Halloween word he or she wanted to work on. Their task was to match the order of the letters on the word strip to form the word. All of the children were very successful and proud of their work. This activity is great for continual review of letters we learned in the past and also helps children to recognize that letters are used to create words. Our new school year is well underway and the kids as well as the teachers are having fun doing all the activities. 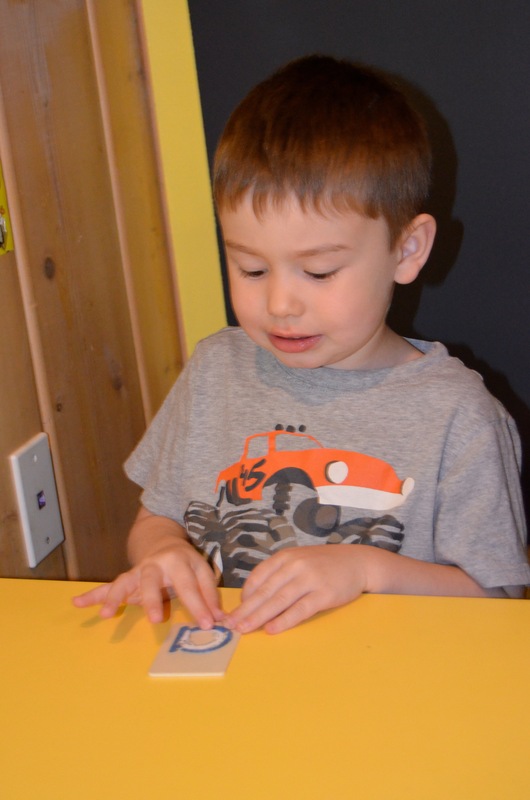 A typical day begins with free play while the kids wait for their friends to arrive. At 9:00 they participate in circle time which includes music and Chinese activities. 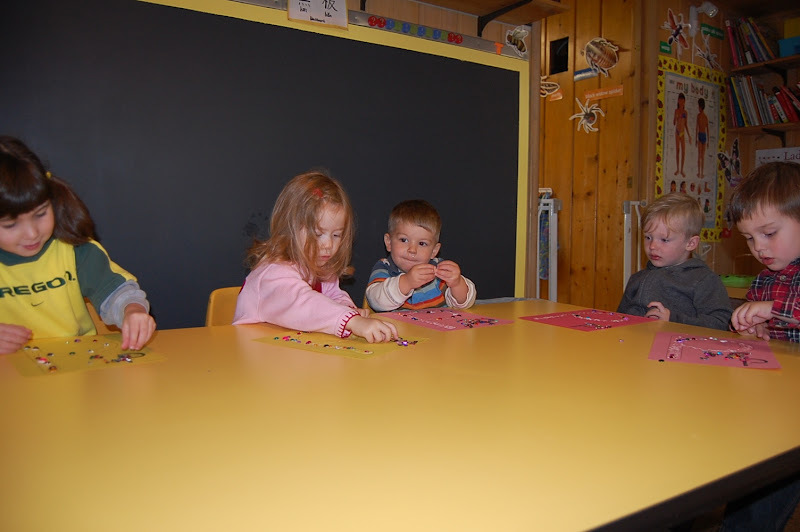 After circle time the children may choose to work at a variety of centers the teachers have prepared for them. 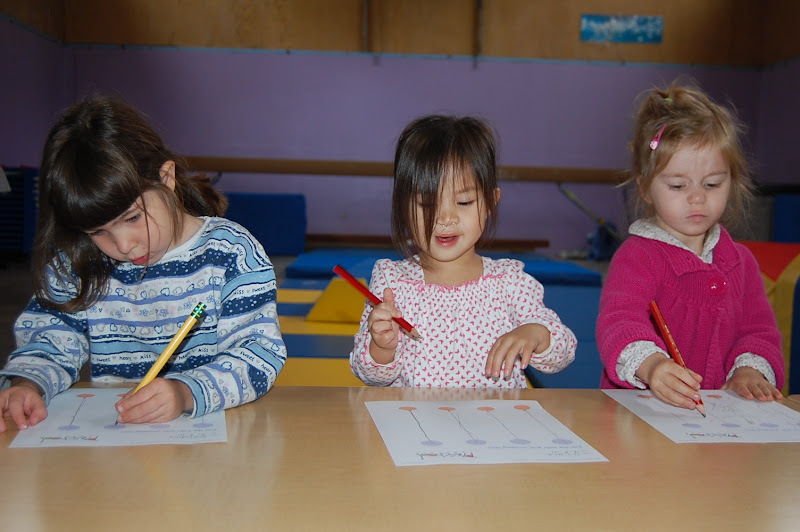 Each center has three to six activities to choose from. 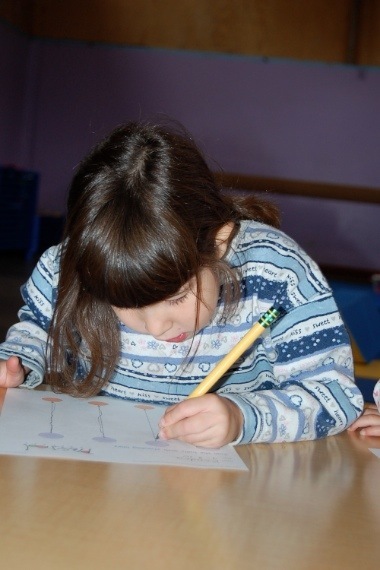 On this morning most of the children opted to work at the language arts center. 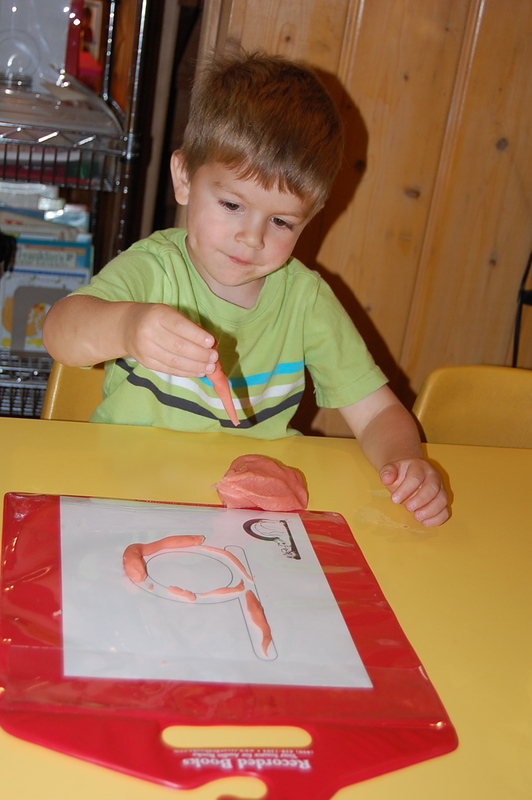 V. is working on a Zoo Phonics activity where he is filling in the “b” outline with playdough. 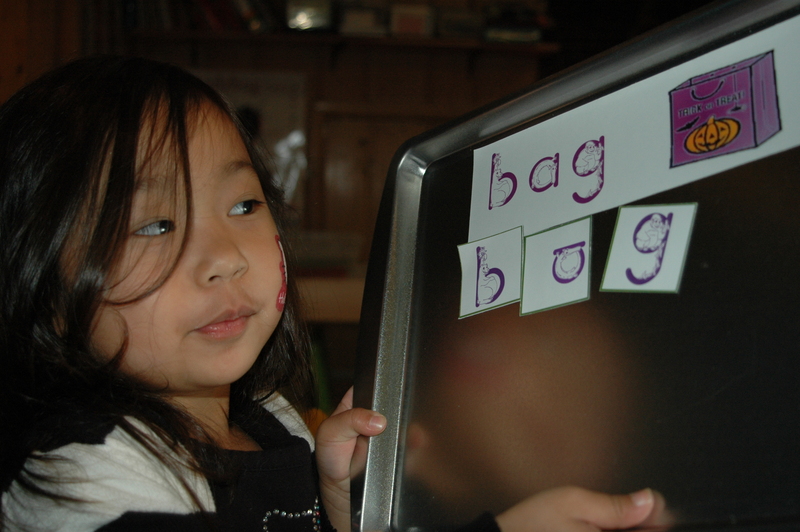 Next V. chose to practice writing “b” with Crayola window markers on a plexiglass sign holder. 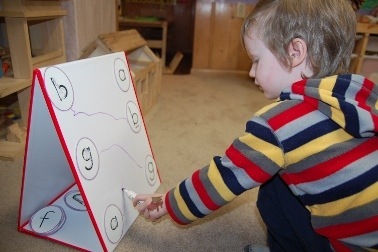 The boat worksheet is inserted inside the sign holder. 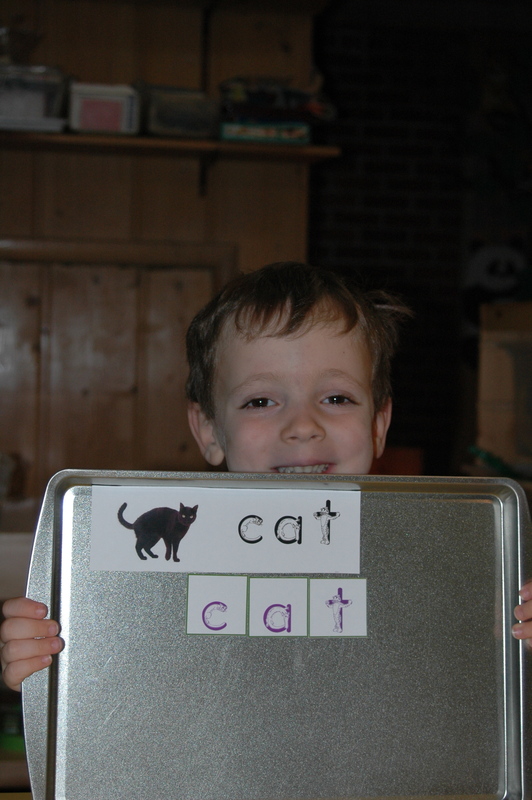 This year the Zoo Phonics curriculum is being integrated with our science themes. We’ve been working on measurement and exploring balls, so the children have been learning all about the letters b and m with Bubba Bear and Missy Mouse. These gel bags were featured in the toddler activities post a couple days ago. 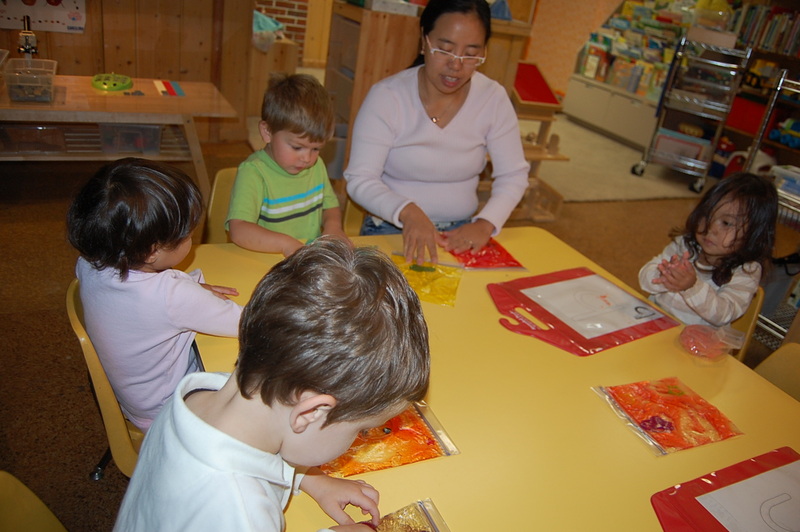 The gel bags are fun for all ages and help children to develop the fine motor skills needed to learn handwriting. The teachers rotate through the centers and help the children as needed. 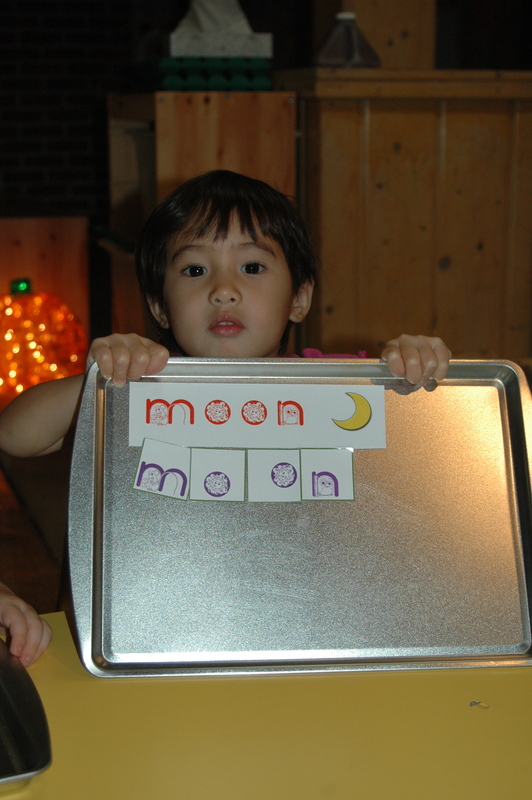 With the exception of the Zoo Phonics activities Gloria encourages the children to learn Chinese vocabulary while completing tasks. 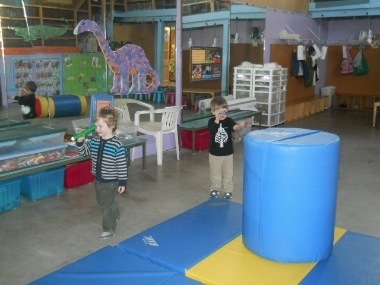 Children love sensory activities. 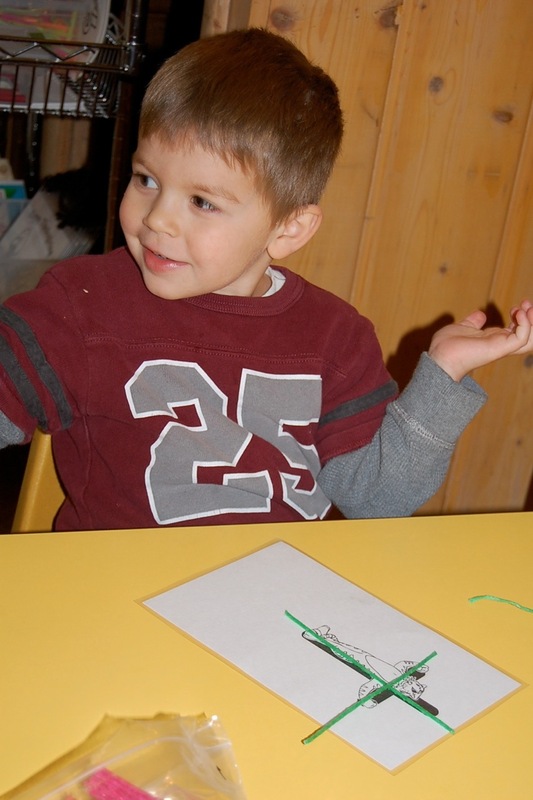 A. is playing with the rubber bands that were set out as part of our movement and motion unit. The teachers started several rubber band balls for the children to add to. As the balls grow bigger the children will play with them and compare them with the other balls they’ve explored. 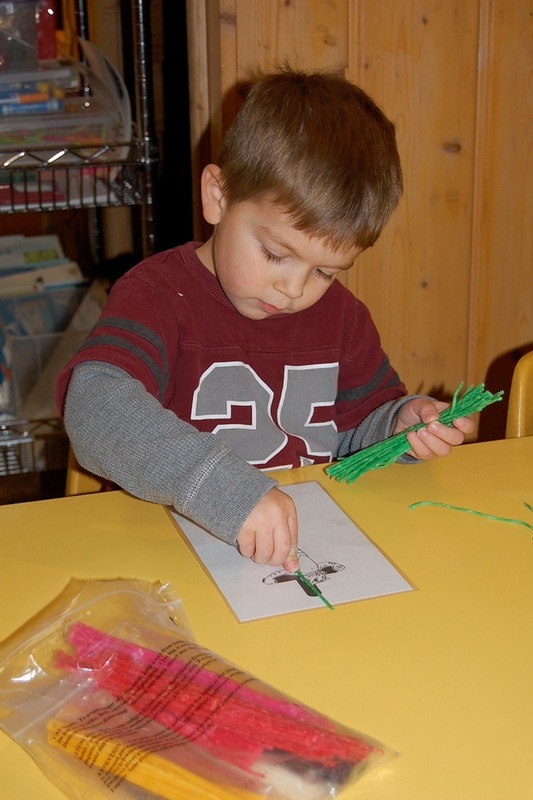 As we move farther along in our movement study the children may also discover other attributes of the rubber bands. 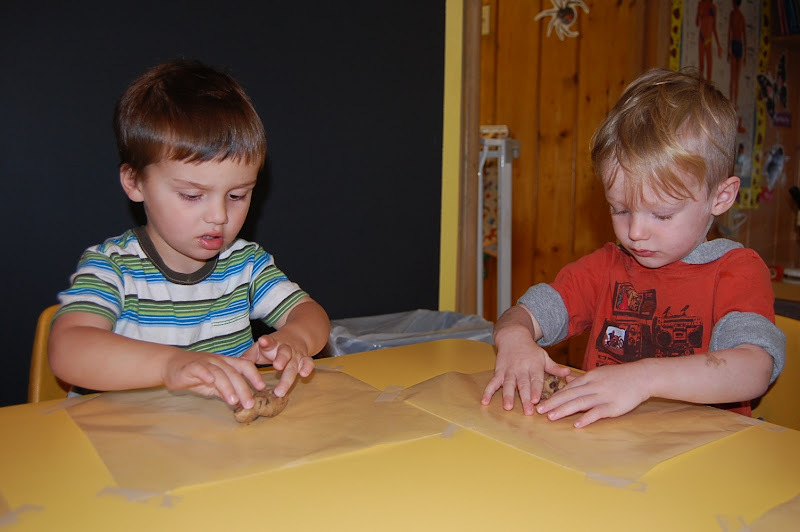 Sand is the absolute ultimate sensory activity! The children can’t get enough of it. 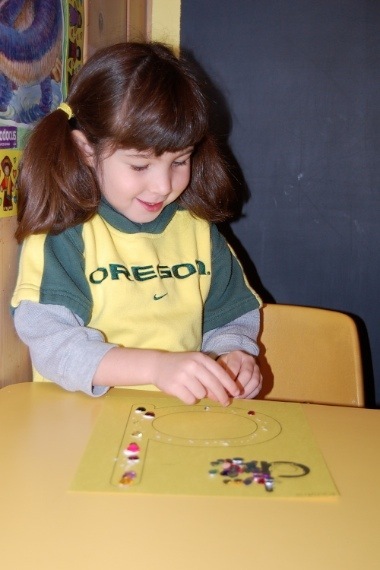 The sand table helps children to develop many skills including math, language, and social interactions. Currently the sand table is equipped with many measuring utensils to compliment our measurement unit. Through their play the children are learning about volume and comparing the different units of measurement. In the past we’ve always used authentic Oregon beach sand in the sensory table, but I discovered colored sand over the summer. I love color and can’t wait to try out the purple sand. Although I’m sure if the kids choose the color we might have to buy pink! 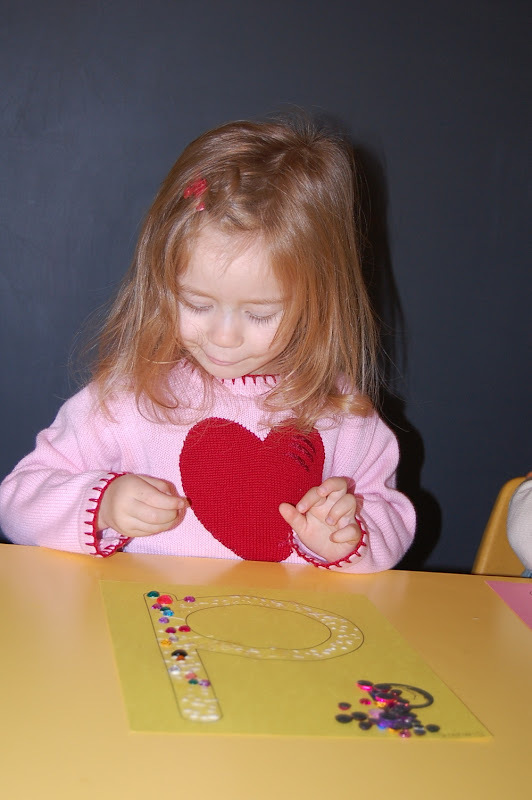 The children are very busy at preschool and this is only part of what was accomplished on this particular morning. The next post will include the rest of the morning’s activities. This is the first year Little Pandas Playschool has offered the Zoo Phonics curriculum. So far I’m very pleased with the results. Each day our preschoolers review all the letters and sing “Come Meet us at the Zoo.” A project or activity is completed after reviewing the letters. Then we focus in depth on one letter every two weeks. 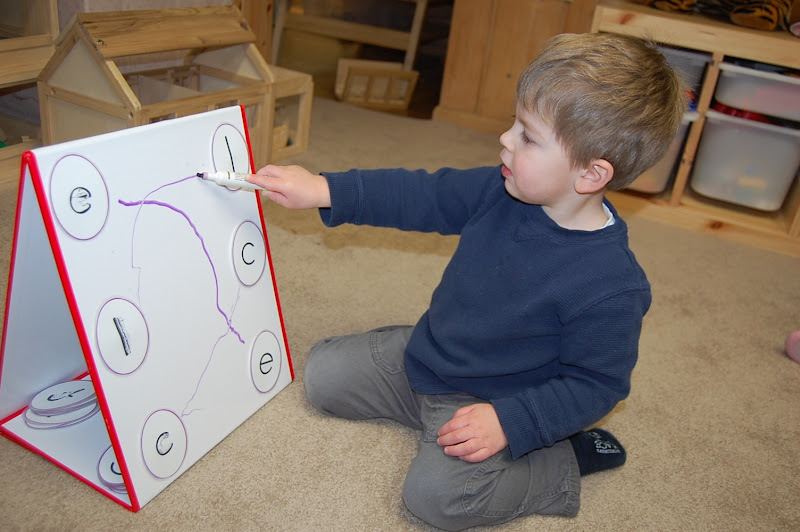 This week the children participated in an activity reviewing letters a through l. Magnetic Zoo Phonics letters and non-Zoo Phonics letters were made and put on a white board. 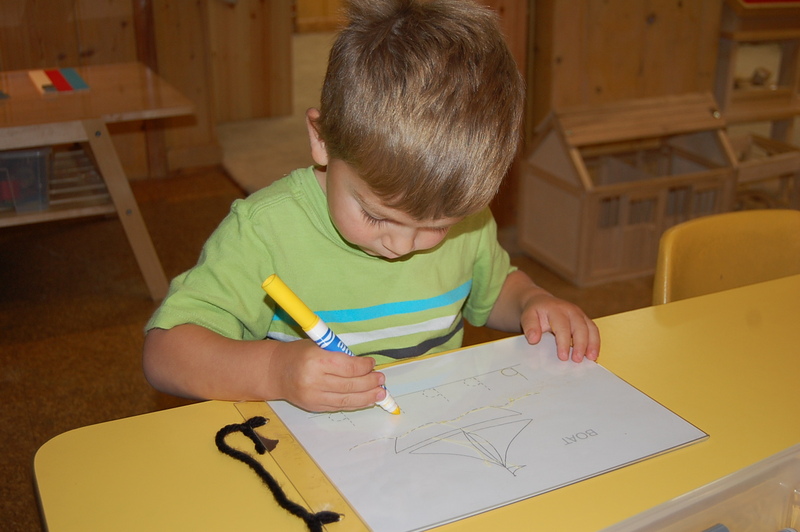 The children were given a dry-erase pen to draw lines to the matching letters. Nearly every child could complete the activity! 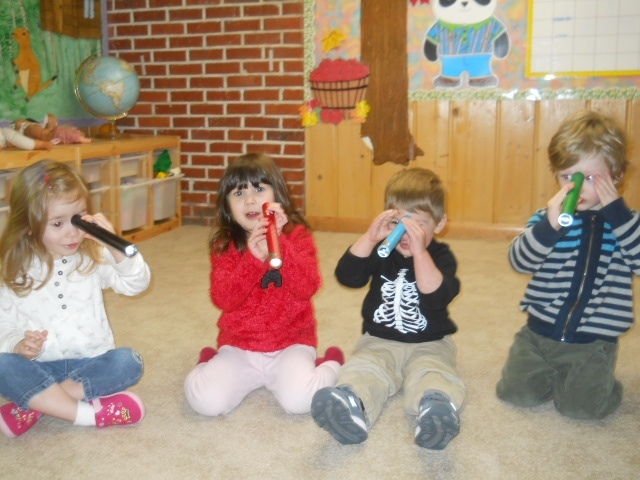 This month the children are learning the Zoo Phonics letters k and l. One of the projects included exploring kaleidoscopes. The kaleidoscopes we used had mirrors inside and a glass dome at the end allowing the children to look at objects in our classrooms. 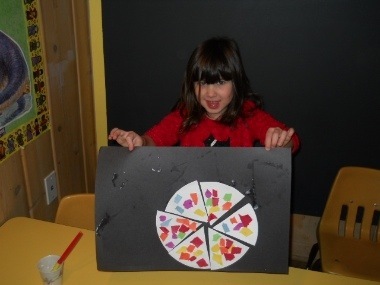 After experimenting with the toys they made some beautiful kaleidoscope pictures. The children have been studying the letter “d” and met DeeDee Deer last week. 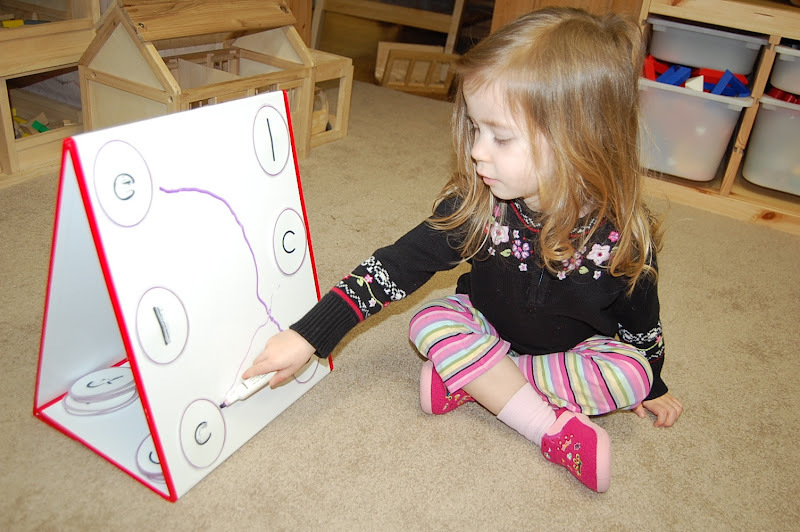 They know her sound and her body movement and have completed several activities related to “d”. 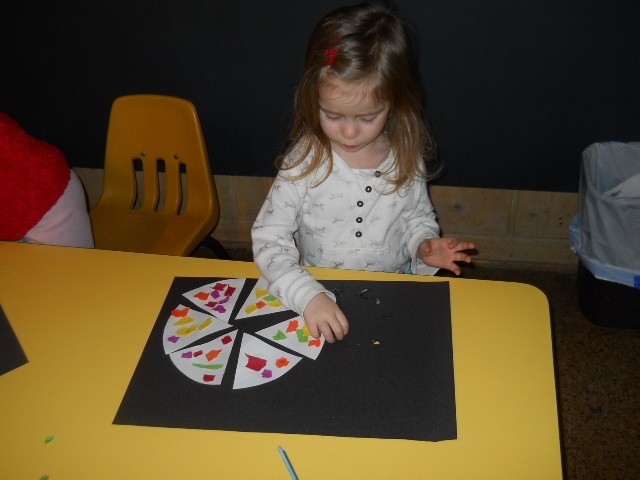 Recently the children created Polka-Dot-D pictures with rhinestone jewels. 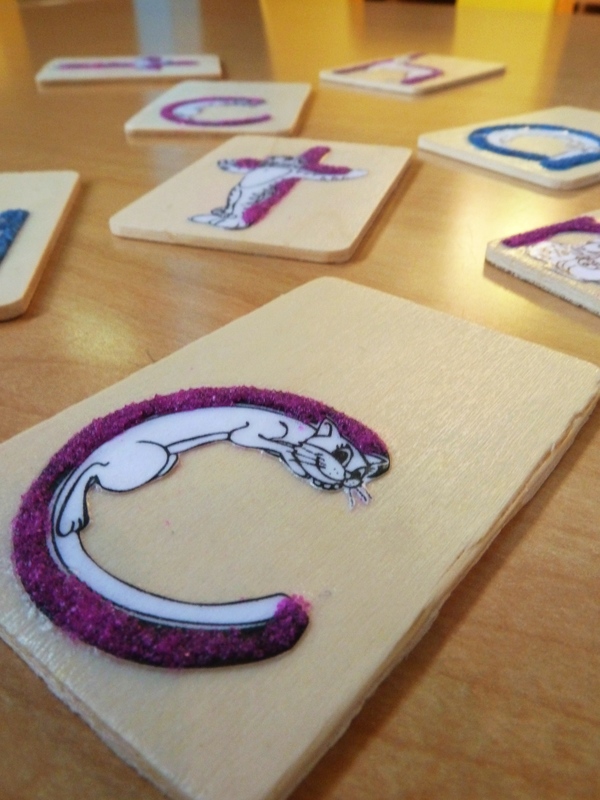 The Zoo Phonics lessons this week are all about the letter C. The children have met Catina Cat, learned her letter sound, and her body movement. 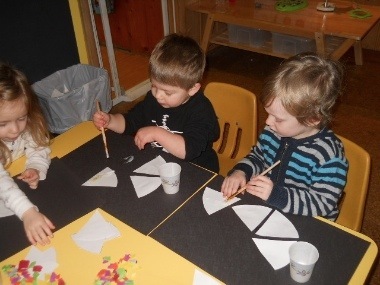 Yesterday the kids enjoyed making C shaped chocolate chip cookies. 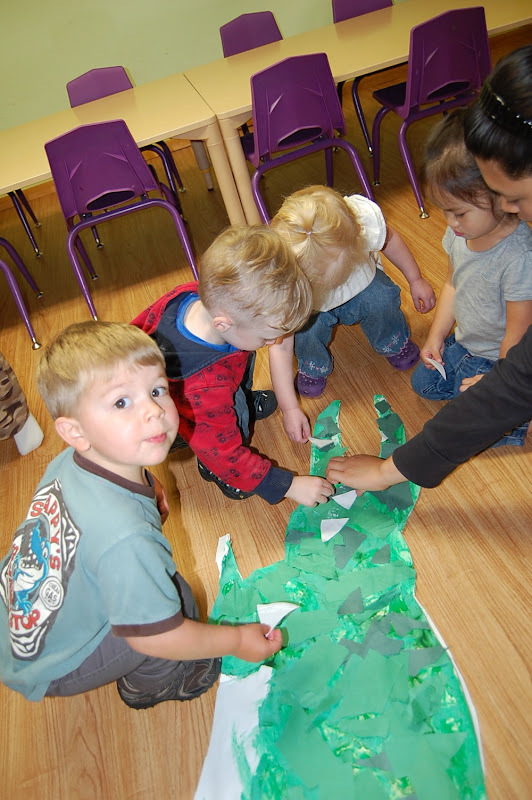 The preschoolers learned about Allie Alligator today. 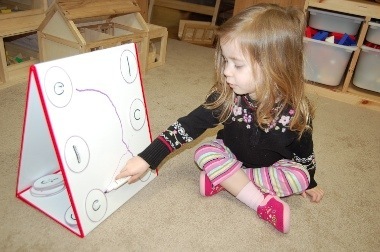 They saw her shaped as the letter “a” and then read Allie’s page in the first reading book. While reading Allie’s page the children looked at all the items in the picture and pointed out which ones begin with “a”. 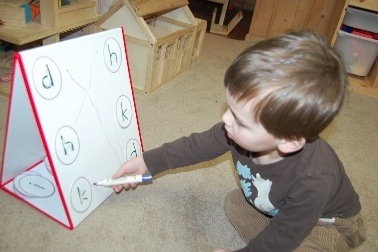 They’re also working on some pre-writing skills. 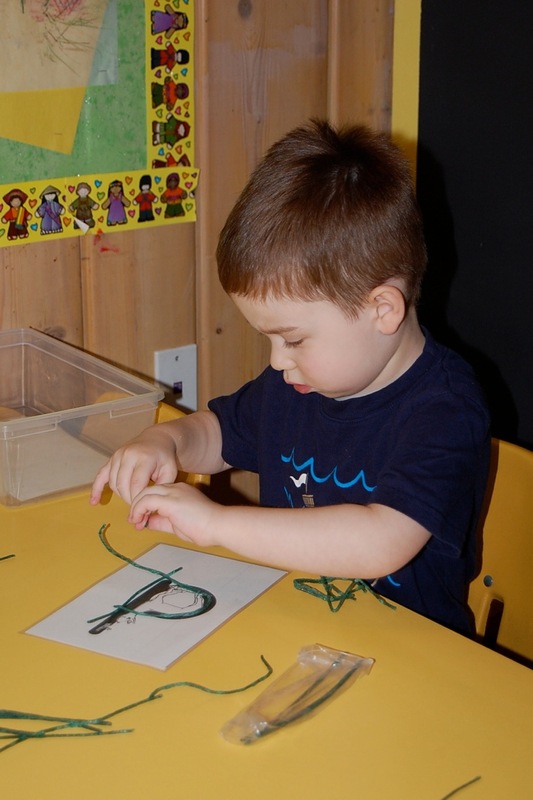 Yesterday the children finished creating Allie the Zoo Phonics alligator. 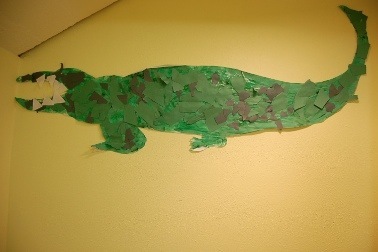 The children painted the alligators on the first day and then added texture with torn construction paper of various greens. Today they added teeth. The alligators will be hung in the toddler and preschool rooms. Other Zoo Phonics animals will join Allie throughout the year. Each letter in the Zoo Phonics system is associated with a zoo animal. The children then learn a body movement or signal related to that animal. 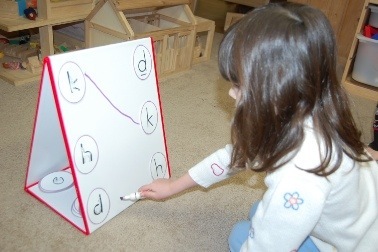 At the same time the children learn the letter’s sound. For example, the children snap their hands together to act out Allie snapping her mouth closed. The use of oral, visual, and kinesthetic means helps the children to learn the letters in a fun way and makes the letters more memorable.